Wearing hard-earned badges with pride has been the mark of a Girl Scout for more than 100 years, but do you know where those badges come from or who makes them? 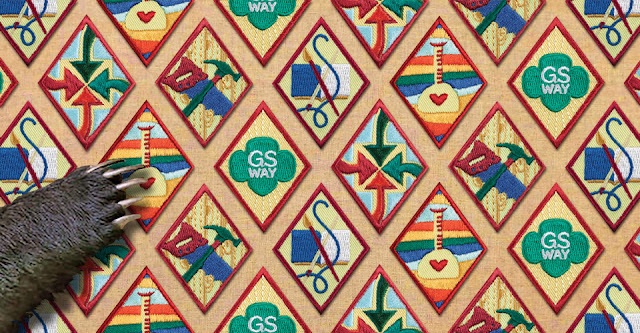 For the first time ever, we’re excited to share the little-known backstory of the most iconic wearables in U.S. history—the Girl Scout badge. After bringing the wonderful idea of Girl Scouts to the United States from Great Britain, Juliette Gordon Low wanted to ensure badges earned by troop members were manufactured from the highest caliber materials by the most skilled badge-makers in the world. And for that, she knew exactly who she needed: Bessie Badger and her brother Berto. 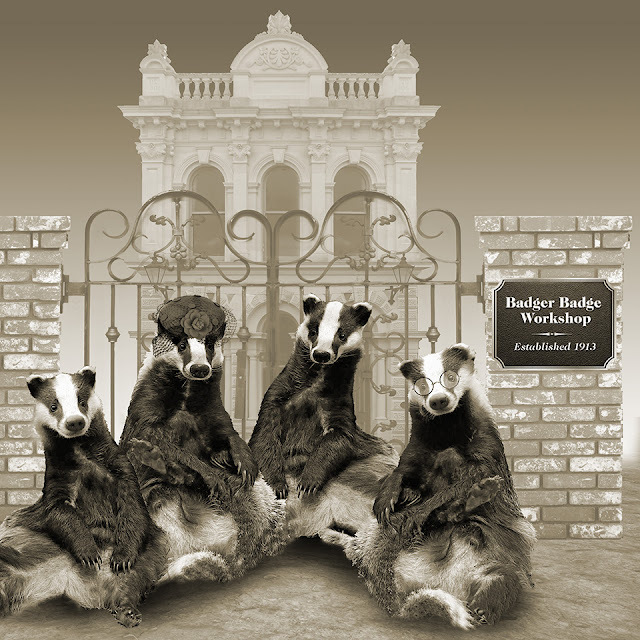 Bessie Badger (second from left) and Berto Badger (far right) pose with two unknown workers on opening day of the Badger Badge Workshop. Always known for being outdoorsy and most at home in nature, Juliette Gordon Low had made the acquaintance of all kinds of individuals over the years. Her friendship with the Badger siblings wound up being one of the most important partnerships in the history of Girl Scouting. 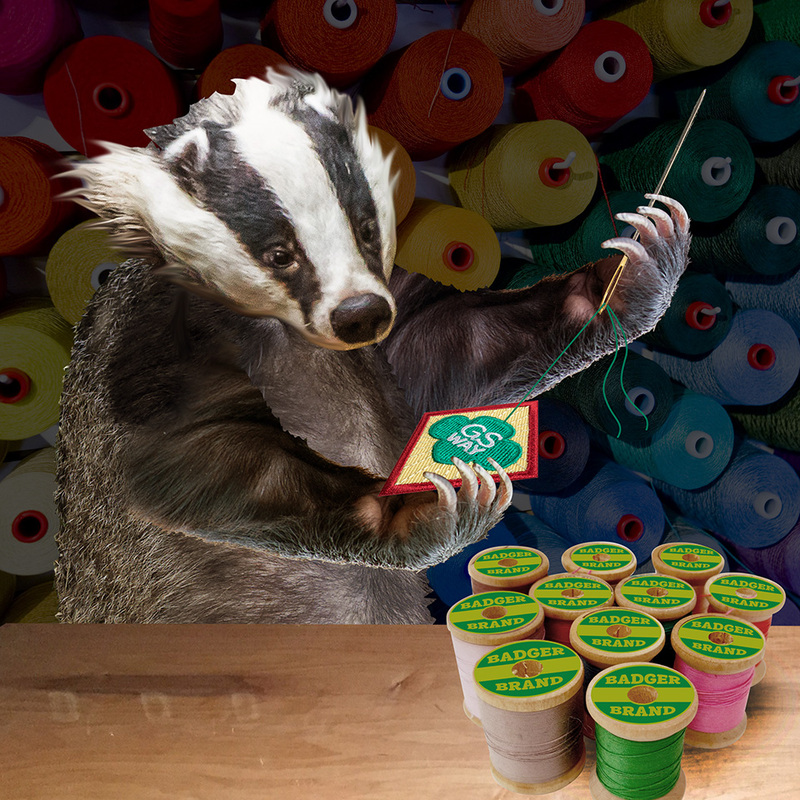 Bessie—one of the first female badgers to earn her business degree—together with her brother Berto, whose embroidery skills were celebrated among all woodland creatures—were the only ones Juliette felt could be trusted to create the kind of badges Girl Scouts truly deserved. Bessie and Berto wasted no time and officially opened Wisconsin’s Badger Badge Workshop in 1913, one short year after the first Girl Scout troop meeting. Since then, the family-run workshop has grown and modernized, marrying the latest in today’s technology with the care and craftsmanship of yesteryear. 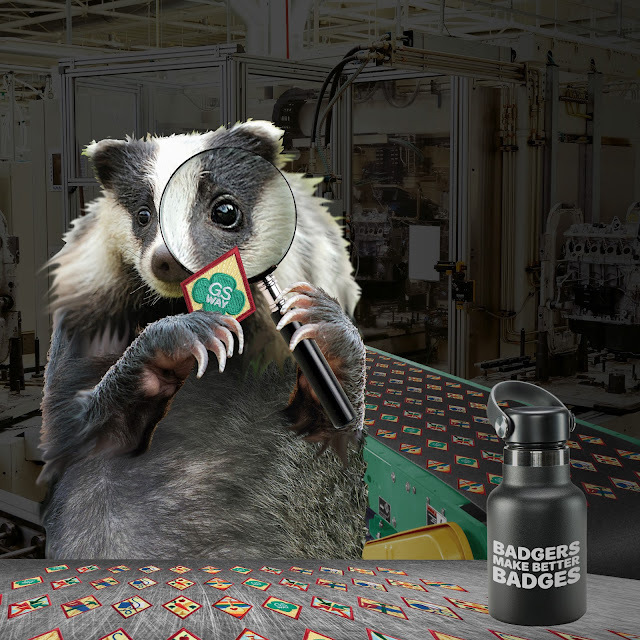 “People think of badger claws as being useful for digging—and they are,” says Beatriz Badger, Bessie’s great-great grandniece and current floor manager of the Badger Badge Workshop, “but before the invent of modern embroidery machines, these diggers were also indispensable when it came to the intricate needlework necessary to create the Movement’s meaningful badges.” And even today, she notes, claws come in handy when it comes to snipping loose threads. Over the course of 105 years, the Badger family has helped millions upon millions of girls and young women display their skills with pride—and has achieved a few accolades of their own as well. The most notable of these, perhaps, came in 1957, when the state of Wisconsin named badgers as the official state animal in recognition of the Badger Badge Workshop’s contributions to the local economy and Girl Scouting in general. Britney “Brit Brit” Badger (pictured above) has received workplace recognition for her laser-like focus and unwavering dedication to perfection. Marci Henderson, CEO of Girl Scouts of Wisconsin Badgerland says knowing the badges worn by Girl Scouts across the United States and overseas are made essentially right in her backyard gives her a special sense of pride. “The story of the Badger Badge Workshop as a whole—and of Bessie Badger, who broke barriers for female badgers in business—is inspiring to all of us and a reminder that when you dig into your passions, anything is possible,” she says. Want to learn more? Find all the badges your girl can earn as a Girl Scout, and read more about Girl Scout history today.